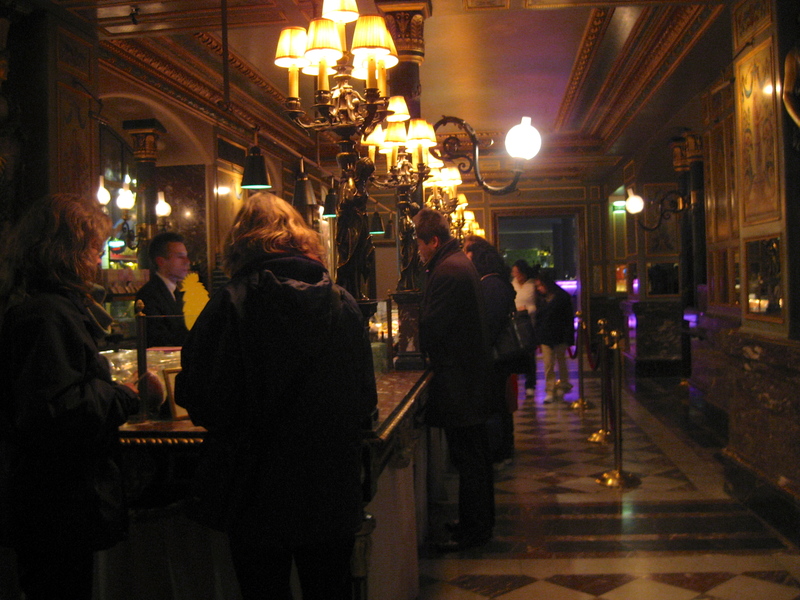 The magical Ladurée (You owe yourself to read this history that I found on their site) It will give you an insight in a part of the luxurious Paris. 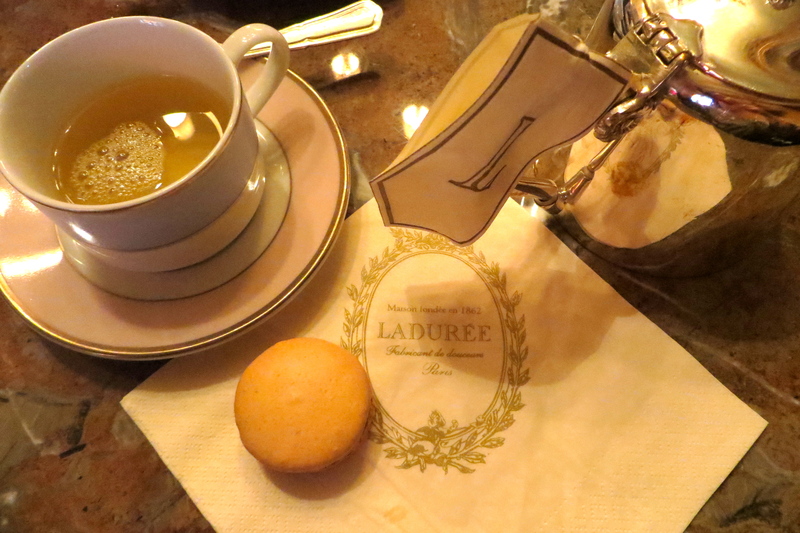 “The history of Parisian tea salons starts with Ladurée. 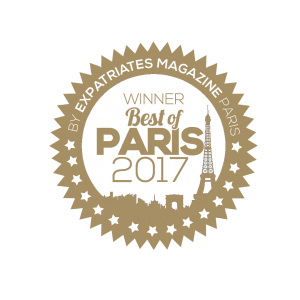 It all began in 1862, when Louis Ernest Ladurée, a miller from France’s southwest, created a bakery at, 16 rue Royale in Paris – not far from Madeleine et Place de Concorde. 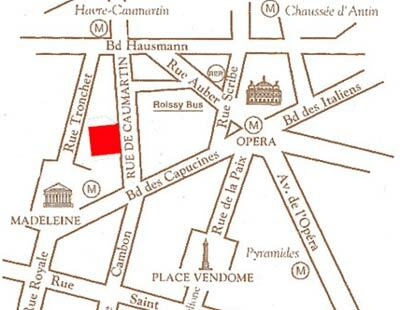 During the same year, the first stone of the Garnier Opera was laid, and the area surrounding the Madeleine was rapidly developing into one of the capital’s most important and elegant business districts. 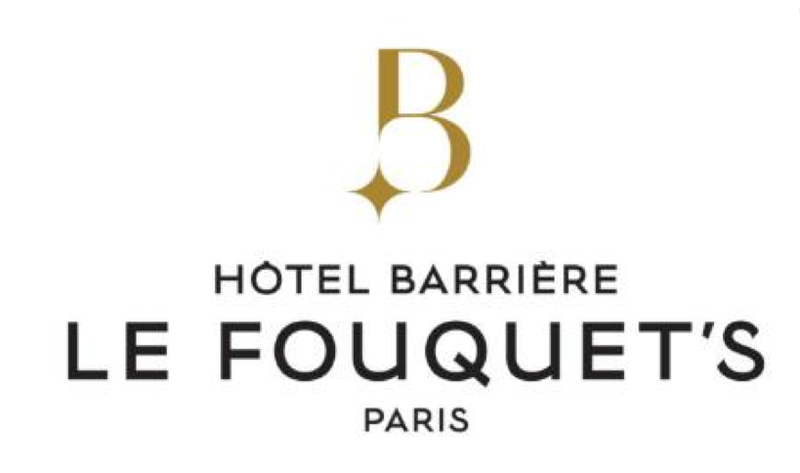 The most prestigious names in French luxury goods had already taken up residence in this neighborhood. In 1871, while Baron Haussmann was giving Paris a ‘‘new face’’, a fire made access to the transformation of the bakery to a pastry shop. 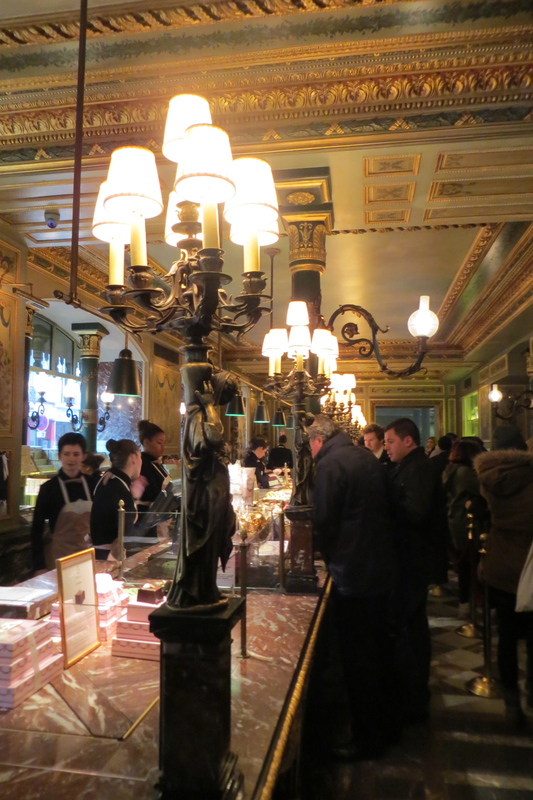 The decoration of the pastry shop was entrusted to Jules Cheret, a famous turn-of-the-century painter and poster artist. Cheret sought inspiration from the painting techniques used for the ceiling of the Sistine Chapel and the Garnier Opera. 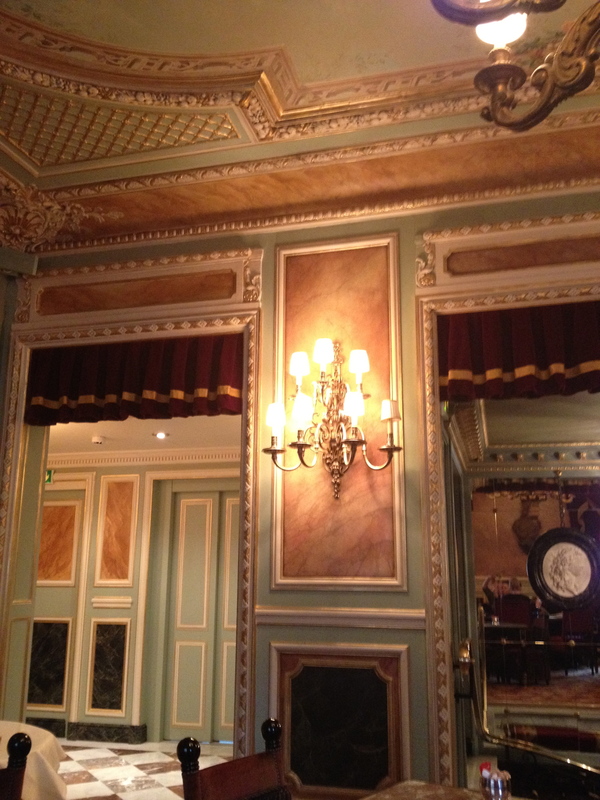 It inspired him to add depth and relief to the ceilings. 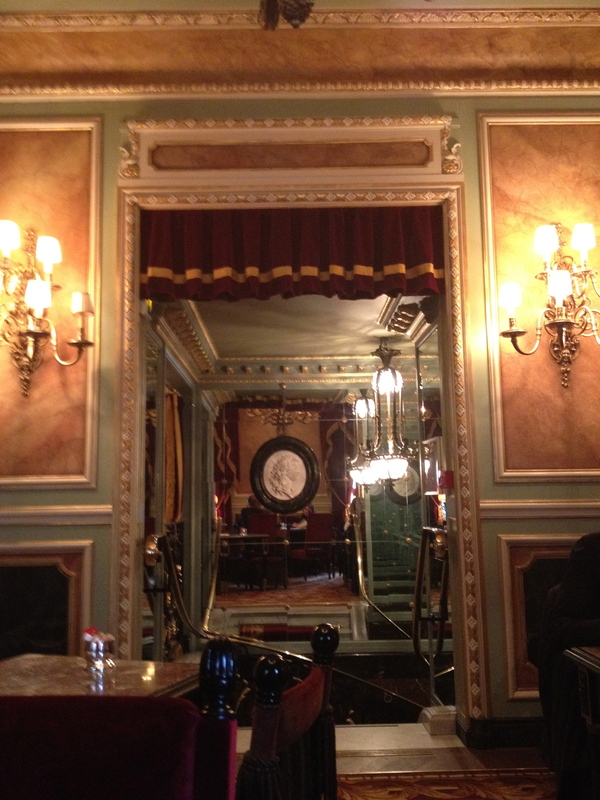 Under the Second Empire, cafes developed and became more and more luxurious. They attracted Parisian high society. Along with the chic restaurants around the Madeleine, they became the showcases of the capital. In the beginning of this century the parisian women changed a bit. They wanted to make new acquaintances. Ernest Ladurée’s wife: Jeanne Souchard got the idea of mixing styles. 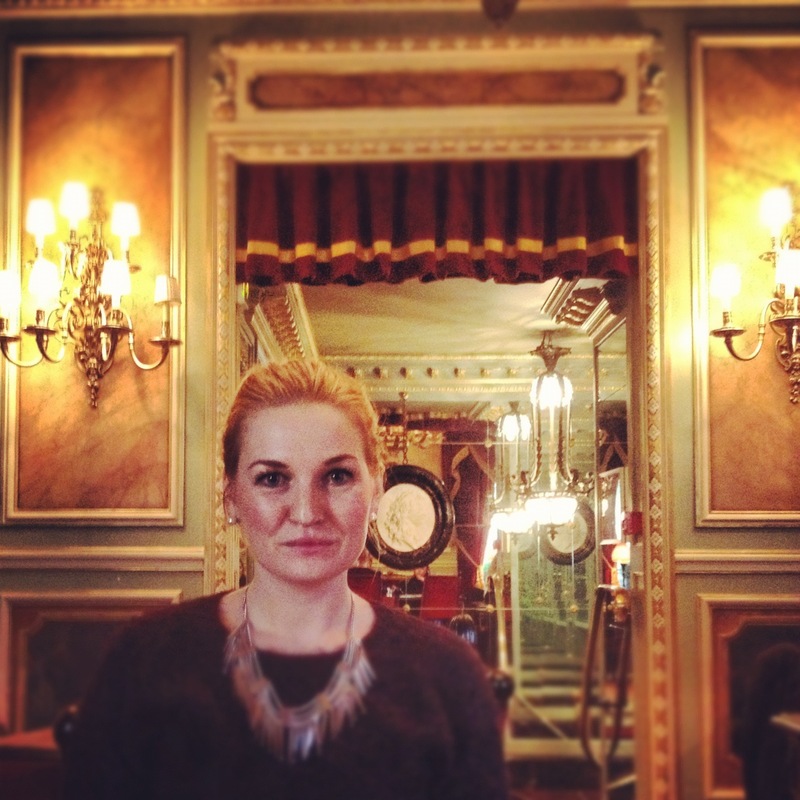 So the Parisian café and pastry shop gave birth to one of the first tea salons in town. 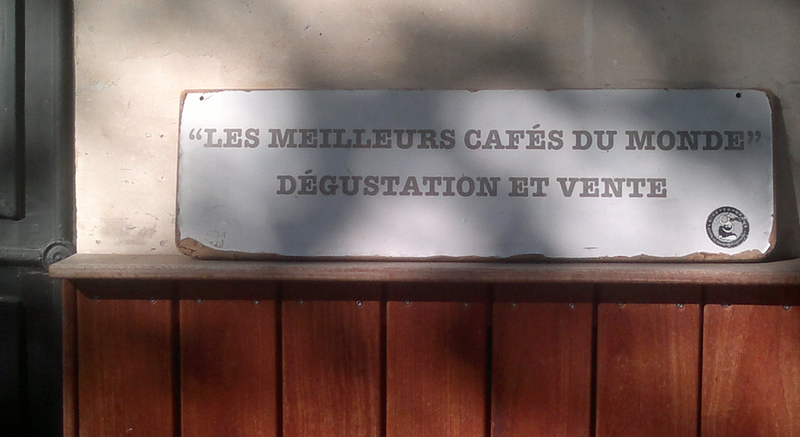 A “salon de thé” had a definite advantage over the cafés: they permitted ladies to gather in freedom. 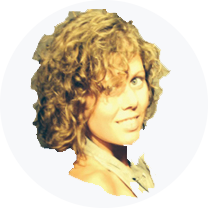 Jeanne Souchard succeeded in combining the turn-of-the-century trend to modernism. In 1993 the Holger Group bought La Durée, to promote and enlarge it. 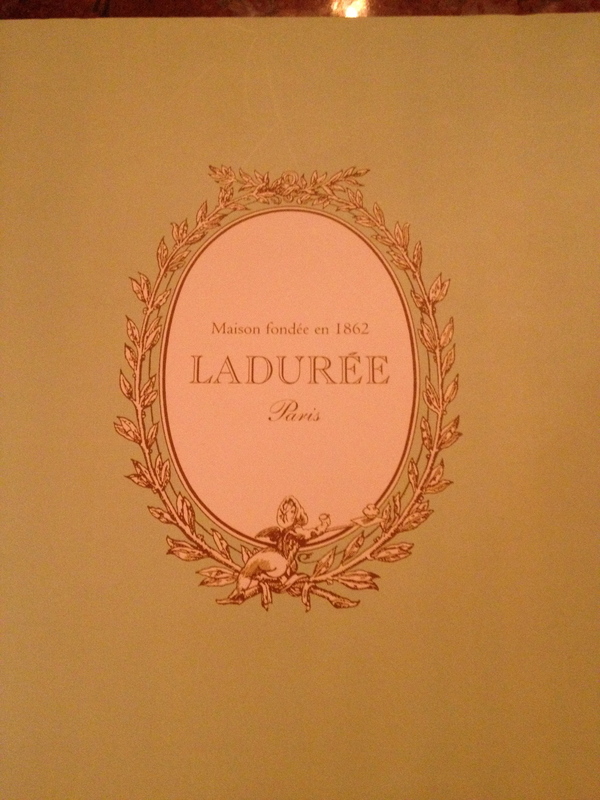 In September 1997, a new prestigious Ladurée address, both restaurant and tearoom, opened on the Champs-Elysées. (The one you probably know). 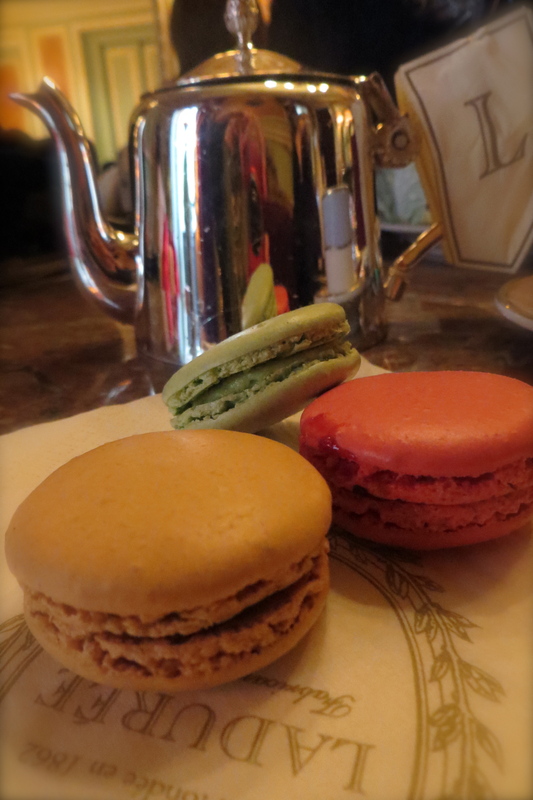 Ladurée has today become a tea salon, pastry shop, restaurant, chocolate shop and an ice cream parlor. 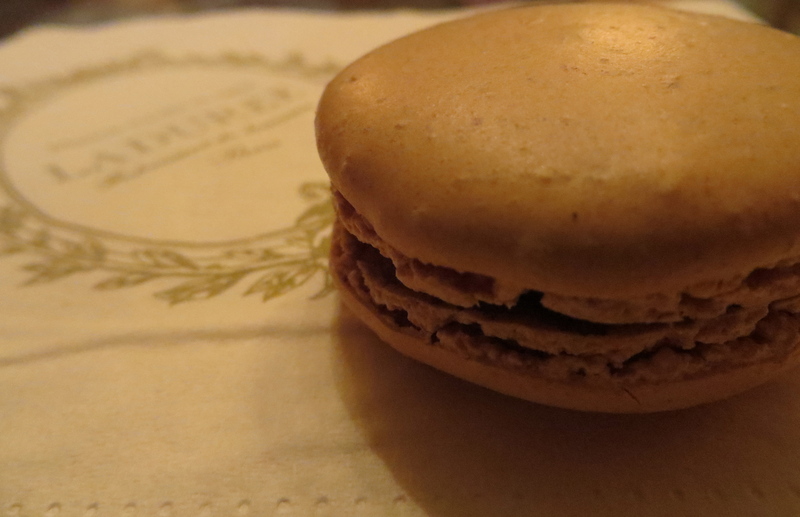 “These small, round cakes, crisp on the outside, smooth and soft in the middle, are the most famous creation of Ladurée. 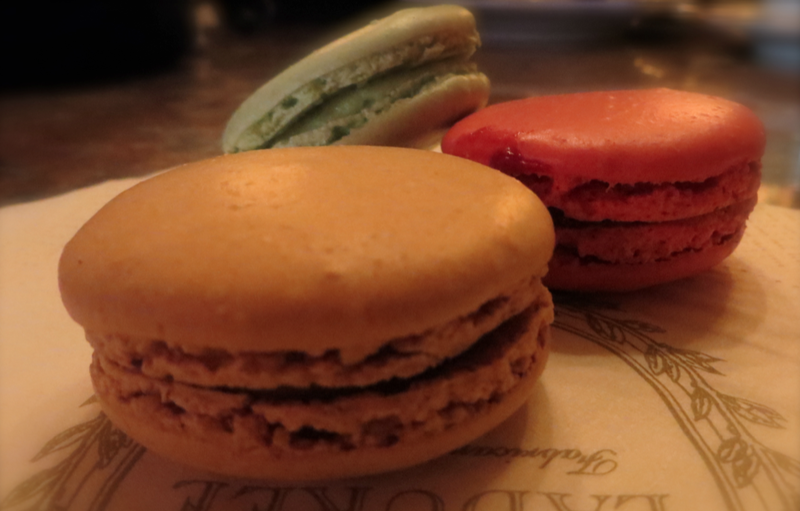 The story of the Ladurée macaron starts with Pierre Desfontaines (cousin of Louis Ernest Ladurée) who at the beginning of the 20th century first thought of taking two macaron shells and joining them with a delicious ganache filling. These small, round cakes, crisp on the outside, smooth and soft in the middle, are made every morning in Ladurée’s “laboratory”. The pastry chef measure out very precisely the required amounts of almonds, eggs and sugar, before adding one final ingredient, a pinch of unique “know-how”, essential to the making of such a delicacy. Once cooked and filled, the macarons are put to one side for 2 days before going on sale, the time it takes to achieve a perfect balance between texture and flavour. With each new season, Ladurée creates a new flavour. 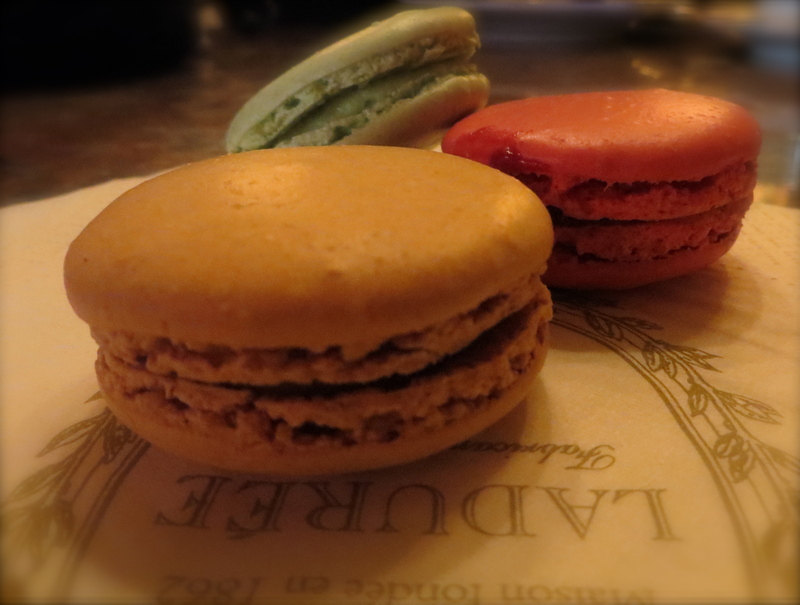 – I had an amazing afternoon in La Durée with my lady-friends from Denmark – looooove the macaroons!